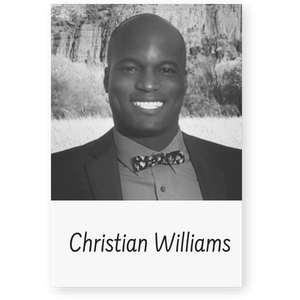 Christian Williams is an Executive Management Assistant in Goodyear, Arizona. He works with the Deputy City Manager to ensure the success of city departments: Police, Fire, Parks and Recreation, Engineering and Development Services. He was born in Florida and raised in sunny Arizona. He graduated from the University of Washington-Seattle in 2009 with a BA in Community, Environment and Planning; minors in Geography and Urban Design and Planning. Currently, he is pursuing a Master of Public Administration: Government and Policy degree from Grand Canyon University. He appreciates and enjoys the many connections and conversations he has experienced on his journey with ELGL. He views ELGL as a unique organization that allows for meaningful dialog amongst local government professionals; and says “I don’t think any other group does it the way we do!” He is excited for the trajectory of ELGL and wants to ensure we continue to share enriching content and experiences with one another.